STOCKHOLM, SWEDEN--(Marketwired - Jan 16, 2014) - Epidemic Sound, the first production music library that gives visual content creators use of professional-quality soundtracks in any country, on any platform, forever, for only a small fee, today announced the appointment of Felix Mannheimer as chief operating officer (COO), and Peter McKelvy as managing director for North America. 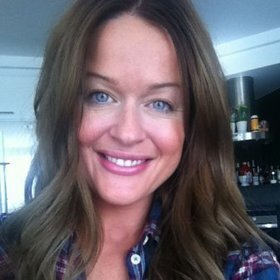 Epidemic Sound's founding COO, Helena Bengtsson, with her broad and sophisticated music expertise, will assume the new role of chief creative officer, leading staff responsible for analyzing, locating, securing and developing all music aspects of the Epidemic Sound repertoire. 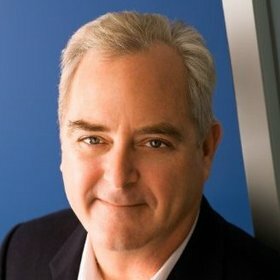 McKelvy takes on his new post following a 22-year career with Discovery Communications, the world's No.1 nonfiction media company where he was responsible for starting, growing and leading the company's music publishing business, Discovery Global Music, and footage service, Discovery Access. 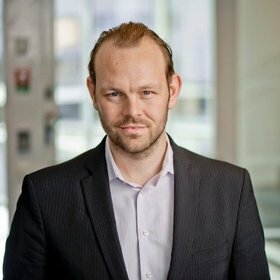 Mannheimer joins Epidemic Sound from Modern Times Group (MTG), the Swedish media conglomerate with operations spanning four continents, where he held various executive positions since 2003 including partner sales manager, acting CEO of Viasat OY, head of studio at TV8, and Nordic COO of MTG Radio. Viasat operates free- and pay-TV channels available on its satellite platforms and third party networks, and distributes TV content over the Internet. MTG is also the largest shareholder in CTC Media, Russia's leading independent television broadcaster. "Epidemic Sound is poised for explosive growth," said Mannheimer. "Production music accounts for 90 percent of all music used in TV and Internet video today, and Epidemic Sound has created a totally hassle-free way for video content creators to find and use that music with zero territorial, legal or commercial limits. That's huge." Added McKelvy: "The production music business is undergoing a seismic change: the old model is crumbling as broadcasters look for leverage in negotiations with PRO's, producer's want hassle free licensing, and composers want to be paid. Welcome to the world of Epidemic Sound." Until Epidemic Sound, acquiring and using soundtrack music was a complex and confusing process controlled in large part by Performing Rights Organizations (PROs), commonly called collecting societies, that license the ability to publicly perform or broadcast music on behalf of member writers and publishers, and provides reciprocal collection services for PROs in every other country around the world. Unlike other professional quality music libraries, Epidemic Sound doesn't represent music; it owns it, buying directly from composers, and freeing it from any collecting society affiliation or responsibilities. The Epidemic Sound library now contains more than 25,000 tracks created by more than 200 composers who are screened and mentored by a select production team lead by company co-founder Peer Åström, an award-winning producer with the world record for the most ever entries on the U.S. Billboard/iTunes chart and productions for Madonna, Kelly Clarkson and Enrique Iglesias. In addition to Epidemic Sound, Åström produces all of the music for the FOX hit show Glee. Every track in the catalogue is tagged and formatted for Epidemic Sound's advanced search tools for exploring, editing and downloading the music, and broken into STEMS -- individual tracks where the instruments can be heard and edited separately -- thereby creating over 100,000 sound files for use. "No two industry executives know more about the ins and outs of professional quality music licensing than Felix and Peter," said Epidemic Sound Co-founder and CEO Oscar Höglund. "They are exactly what the doctors ordered as we expand our service to the U.K., U.S., and beyond."